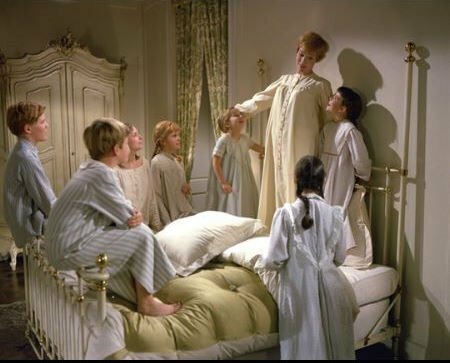 What have cream colored ponies and crisp apple streudels, doorbells and sleigh bells and schnitzel with noodles done for me lately? NOT A DAMN THING. That's why they're not on my list of favorite things. But you know what did make the cut? A slew of blogs, a book, a podcast, and a video series you may not have heard of yet but they have provided me with endless hours of entertainment. I love Gypsy Thorton's Once Upon a Blog. Her site has a metric ton (or should that be "tonne" since I'm referencing the metric system?) of fairy tale news from all around the world. I try to visit at least once a week to get all the latest info on fascinating and obscure news bits I rarely find anywhere else. It may seem a bit strange to include a Tumblr on a list like this, but author Seanan McGuire's is a treasure trove of goodies. She posts and reblogs a mix of geeky goodness, feminist and LGBTQ musings, and Disney love. 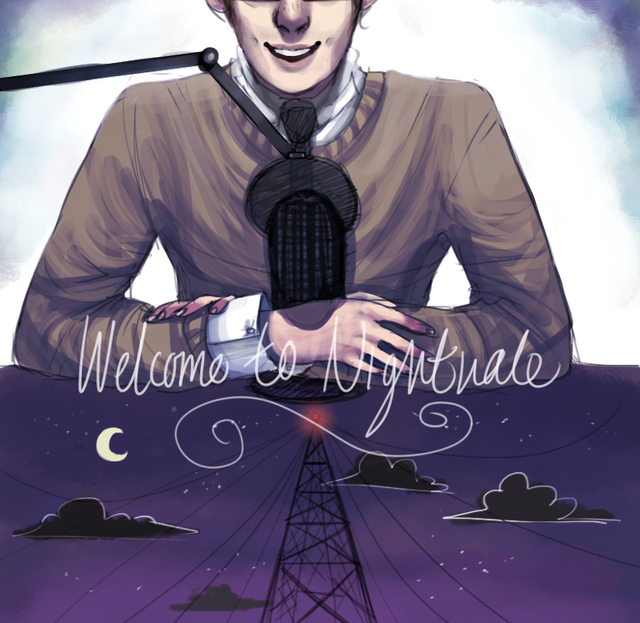 I've found out about so many wonderful things on her Tumblr, including Welcome to Night Vale. Speaking of Night Vale, you already know how much I've been enjoying the podcast about the goings of a strange little desert town, but in case you need a refresher, check this out. 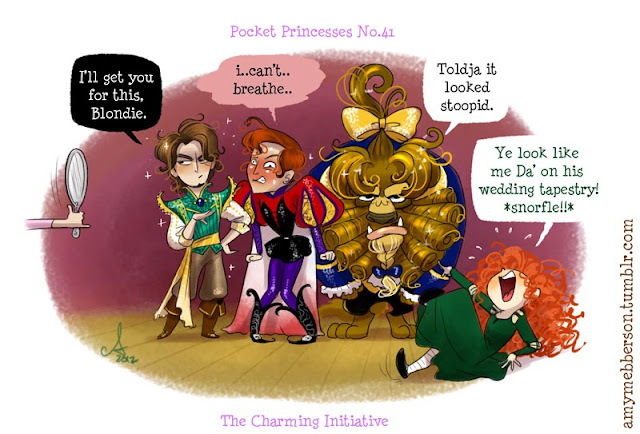 I'm not really a webcomics kinda girl, but I do love Amy Mebberson's Pocket Princesses. The silly little series features an alternate universe where all of the Disney Princesses live and bicker together. It's adorable. I've come across a number of reviews discussing Marvel's recent attempt to attract greater numbers of female fans to the franchise, with most concentrating on whether Rogue Touch and The She-Hulk Diaries are too much like chick lit and/or true to their titular characters' comic book origins. Not nearly enough of the reviews are concentrating on whether or not they're worth the read, and that's unfortunate because Marta Acosta's The She-Hulk Diaries is HILARIOUS. 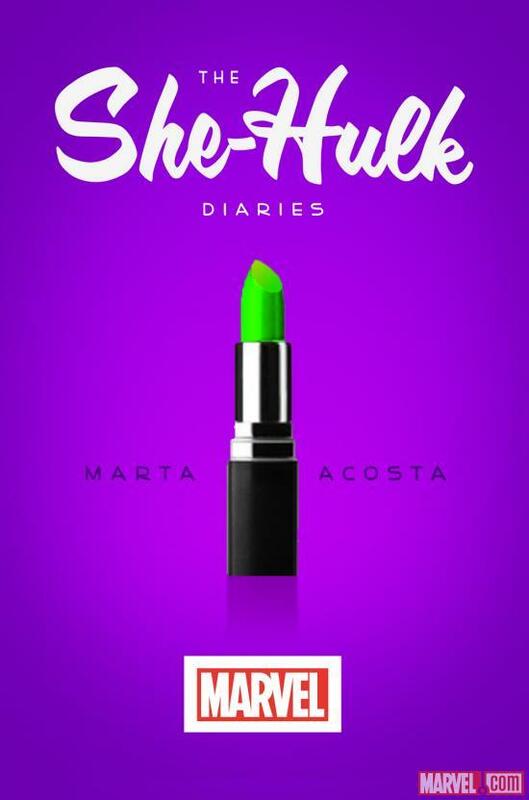 I knew almost nothing about She-Hulk (a.k.a. Jennifer Walters a.k.a. Shulky) when I picked up the book last week. I was a Rogue/X-Men fan when I was a kid and only had a passing familiarity with the Hulk's storyline (except for being terrified of the big green meanie until Mr. Rogers showed me I had nothing to worry about when I was little.) After reading Acosta's take on Bruce Banner's favorite cousin, I realized I've been missing out on a fantastic fandom all these years. Shulky's AWESOME! The superheroine side of the character is a great mix of do-gooder with a penchant for over-the-top antics, self-confidence, and sass, on a never-ending quest for a good time. Walters is just as confident as her alter ego when she's in court but not so self-assured in her personal life. The lawyer is thoughtful, nerdy, and as of January 1st, determined to improve the non-Shulky aspects of her life. I love the dichotomy between the two personalities and find the big, bouncy, non-broody superhero to be refreshing. Acosta has penned a fabulous beach read and, from what I've read, did a solid job of incorporating parts of the Marvel universe we don't often see in the movie franchise. The best part for me, however, was the humor. It was pitch perfect. I actually laughed out loud (something I rarely do when reading) within the first ten pages of the book. My favorite running gag in the book is Shulky's feud with Chanel's creative director, Karl Lagerfeld. The last time I found a book this funny, I was reading Tina Fey's Bossypants. Speaking of books, two of my favorite sites for finding out about new books are Vampire Book Club and My Bookish Ways. Vampire Book Club has a fantastic selection of urban fantasy reviews and My Bookish Ways has an extremely impressive number of UF author interviews and giveaways. I usually find at least one book to add to the to be read pile every time I visit. My latest addition to the favorites list is C.G.P. Grey's videos on YouTube. They're usually map-related history info dumps and all are extremely entertaining. I mainlined at least 15 of them today when I should have been writing this post. Trivia junkies will love all of the the fun facts packed into the short videos. So, the next time the dog barks, the bee stings, or you're feeling bored, simply remember this favorites list and pick one. You'll thank me. Awesome! I have so many new things to fall in love with... and Welcome to Night Vale is so fantastic, I've just discovered it myself, and everything about it was perfect, and I fell in love instantly.